Nathalie Günther was an IT consultant at microTOOL and supported customers with the implementation of suitable project management solutions. As a BA business economist and a MSC in information systems, she found software solutions that support individual customer requirements and business processes particularly valuable. She used her experience from years as an IT project manager and a consultant in the area of IT supported processes in a variety of branches and businesses. 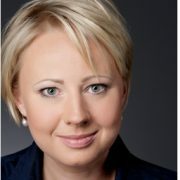 She is also a lecturer for business process management at the Münster University of Applied Sciences. We wish her the best for the future! With objectiF RPM you can do your project planning classically, agilely or hybrid. Here you can find the different settings. With objectiF RPM you can generate precedence diagrams for your project plans and activities – either as a MS Visio or a PDF document.